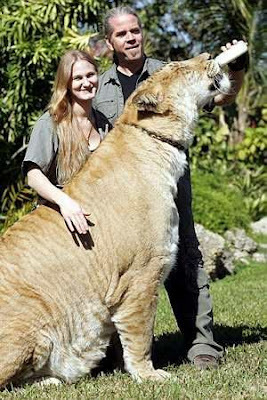 The 10ft Liger who’s still growing… He looks like something from a prehistoric age or a fantastic creation from Hollywood . But Hercules is very much living flesh and blood – as he proves every time he opens his gigantic mouth to roar. 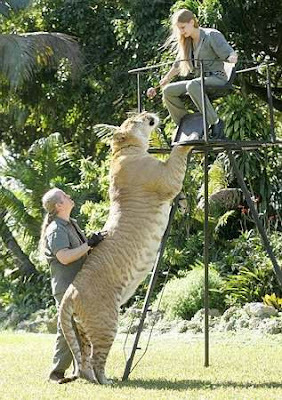 Part lion, part tiger, he is not just a big cat but a huge one, standing 10ft tall on his back legs. 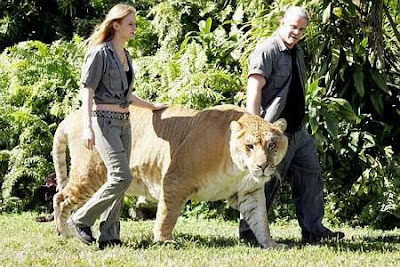 Called a liger, in reference to his crossbreed parentage, he is the largest of all the cat species. On a typical day he will devour 20lb of meat, usually beef or chicken, and is capable of eating 100lb at a single setting. At just three years old, Hercules already weighs half a ton. 50mph runner… Not only that, but he likes to swim, a feat unheard of among water-fearing lions. 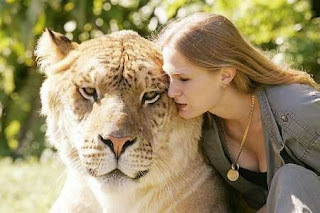 In the wild it is virtually impossible for lions and tigers to mate. 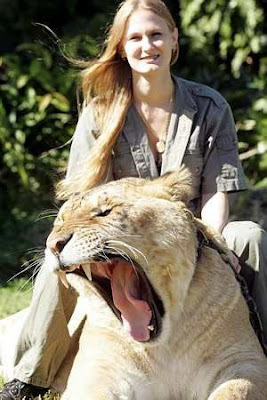 Not only are they enemies likely to kill one another, but most lions are in Africa and most tigers in Asia . But incredible though he is, Hercules is not unique. 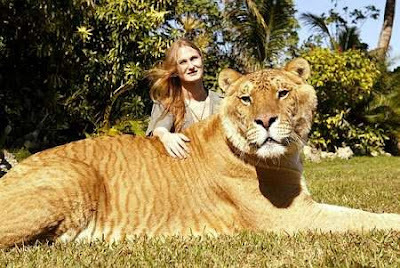 Ligers have been bred in captivity, deliberately and accidentally, since shortly before World War II.